We’ll pick things up with a benefit currently being promoted by Liberty Mutual. 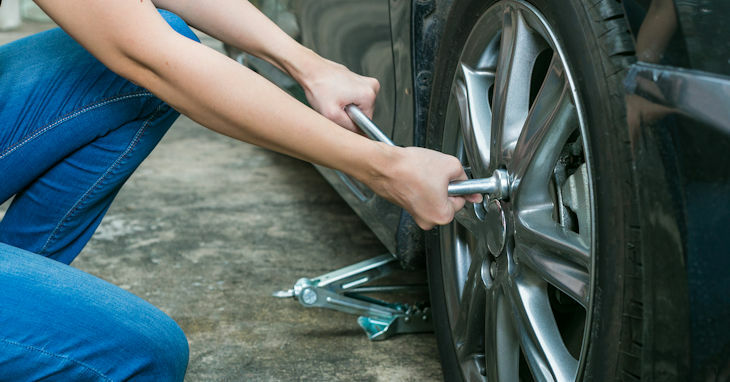 Roadside Assistance is the type of coverage that makes a policy seem much more personal, given that nearly everyone has experienced a breakdown, lock-out, flat tire, or dead battery at some point in their lives. You always hope that help will be near, whether it is you or perhaps your teen driver who is suddenly stranded. Roadside Assistance is coverage for these types of emergencies 24-hours a day. You do not have to be insured with Liberty Mutual to add Roadside Assistance to your coverage. In fact, nearly every insurance company offers some version of this coverage, although the details may vary from insurer to insurer. Accident Forgiveness is up next, and it is perhaps one of the better-known features on our list. That is because nearly anyone who has ever caused a car accident knows how expensive that accident can be long-term due to car insurance premium surcharges and penalties. With Accident Forgiveness, rates will not go up because of a first-time accident. Allstate is the primary advertiser of Accident Forgiveness, but you can get similar coverage from many other insurance companies, although it may be at an additional cost. You probably already know what GAP insurance is even if it is not frequently advertised on TV. That is because GAP coverage is often pitched to buyers when financing a new car. With this protection, your car loan is guaranteed to be paid off even if your insurance settlement is not enough to cover the balance when you total your car. While beneficial, this coverage is only necessary so long as your loan balance exceeds the actual cash value of your vehicle. That is why we recommend adding it to your insurance policy – not paying for years of upfront premiums from your car dealer or lender. With traditional insurance, you can drop GAP protection when you no longer need it, preventing you from paying for extra, unnecessary coverage. Last, but not least, we arrive at the Bundle-and-Save discount. You’ve probably seen the commercials from Progressive advertising the savings you can obtain by purchasing both your home and auto insurance from the company. In reality, nearly any insurance company will offer a discount for purchasing multiple lines of coverage, whether home and auto or renters and auto. Some may also provide discounts for insuring multiple vehicles or recreational vehicles like RVs and motorcycles. Hopefully, parts one and two of this post have helped shine light on some of the advertised insurance features you’ve seen in commercials and answered any questions you may have. Remember, at the end of the day, your independent insurance agent is not only a good source for information but also your advocate in finding you the right coverage and maximizing your savings. Give us a call the next time you have questions about the features offered by various insurers. Chances are we have the answers.